As Venezuela's three-month-old political crisis continues to convulse the populace, the Supreme Court barred the nation's chief prosecutor from leaving the country and ordered her bank accounts frozen after she delivered a critique accusing the president of "state terrorism." 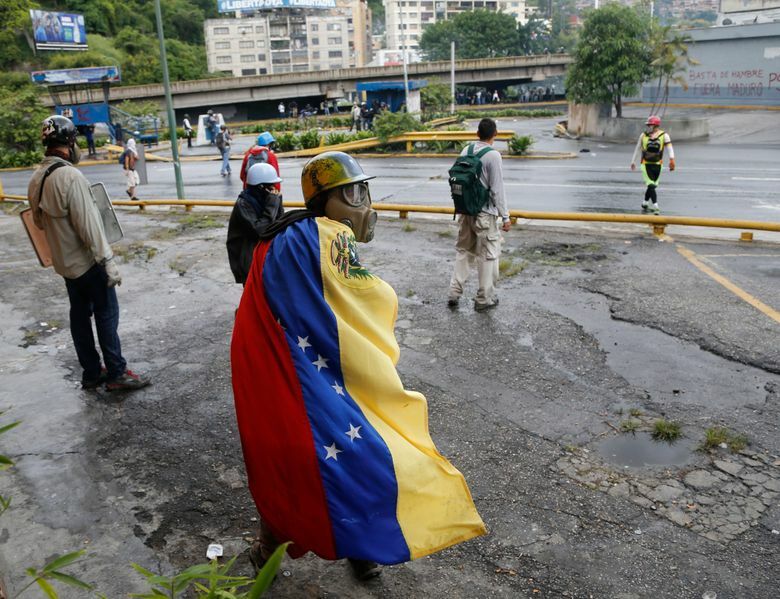 CARACAS, Venezuela (AP) — Venezuela’s renegade chief prosecutor charged the former head of the country’s national guard Thursday with systemically violating human rights during three months of anti-government protests that have left nearly 80 people dead. Luisa Ortega Diaz’s office announced the charges against Antonio Benavides Torres a day after the nation’s Supreme Court declared it was barring her from leaving Venezuela and ordering her bank accounts frozen. 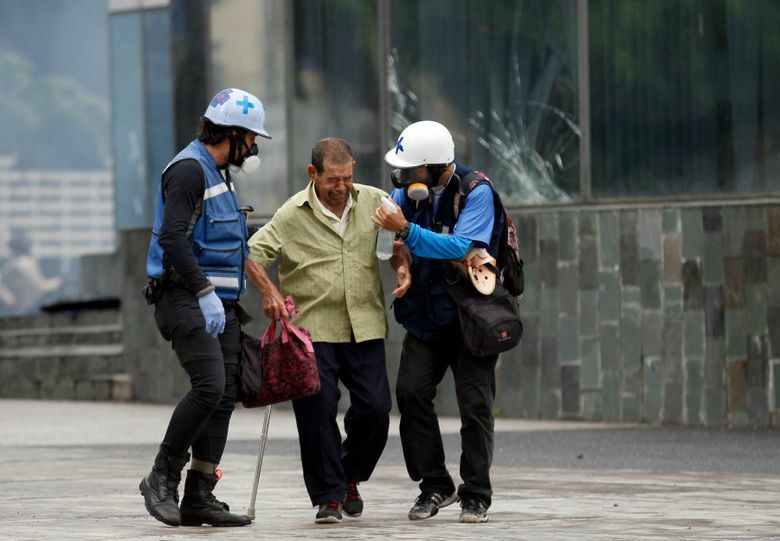 Ortega Diaz, a longtime loyalist of the socialist government who recently broke ranks with President Nicolas Maduro, said police and military officials are responsible for 23 protest deaths to date as well as 853 injuries. 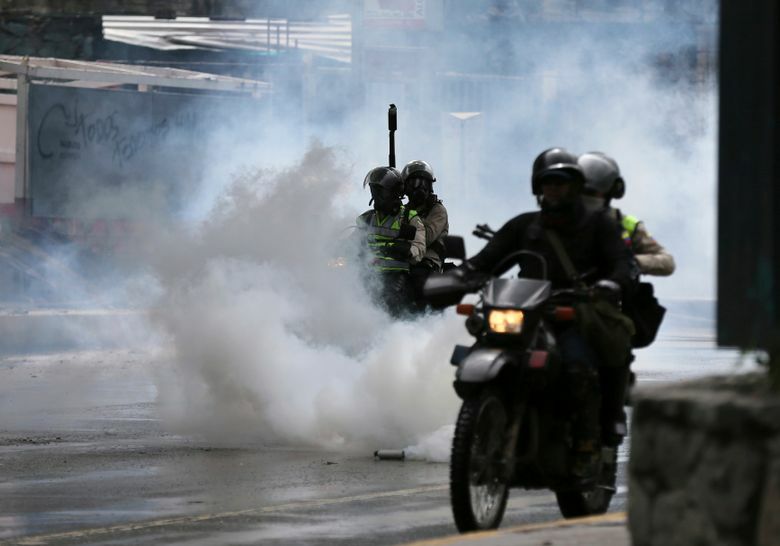 “In a great number of these incidents, there is evidence of excessive use of force in repressing protests,” Venezuela’s Public Ministry said in a statement, citing the use of unauthorized firearms and torture of those apprehended. The charges are likely to further escalate tensions between Maduro and Ortega Diaz, who has become one the president’s most vocal critics. She has filed numerous motions to the government-packed Supreme Court challenging Maduro’s call for a special assembly to rewrite Venezuela’s constitution, all of which have been rejected. Meanwhile, the Supreme Court is proceeding with a complaint filed against her by socialist party lawmaker Pedro Carreno. Maduro announced he was replacing Benavides Torres last week and instead assigning him as government head of the capital district. Opposition protests demanding new elections and decrying Venezuela’s triple-digit inflation, food shortages and worsening crime are continuing to rock the nation as Maduro pushes forward with his plan to draft a new constitution. On a near daily basis, national guardsmen and police have launched tear gas and rubber bullets at demonstrators, some of whom have responded with rocks and firebombs. The United States, European Union, Canada and others have urged the government refrain from using force against protesters. 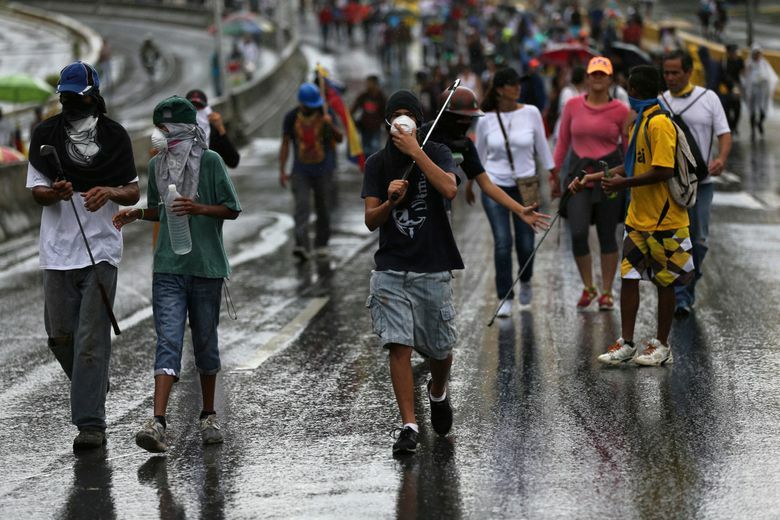 But protests deaths and injuries have steadily risen, nearly doubling the number of people killed during Venezuela’s last wave of political unrest in 2014. The figures released by Ortega Diaz’s office Thursday indicate police and military officers are responsible for about a quarter of the deaths. 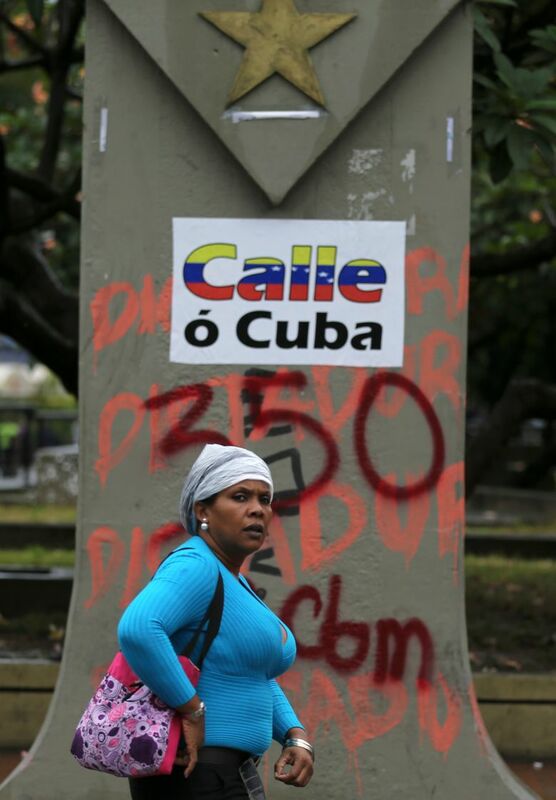 Opposition leaders also blame armed pro-government groups known as “colectivos” for the violence, while Maduro’s administration insists criminal gangs contracted by right-wing political groups are responsible for the bloodshed. Benavides Torres was one of seven Venezuelan officials sanctioned by then U.S. President Barack Obama in 2015 for allegedly violating human rights against protesters during the 2014 demonstrations that left 43 people dead. On Tuesday, the Supreme Court issued a ruling broadening the powers of staunchly pro-government ombudsman Tarek William Saab, allowing him to carry out criminal investigations that are the exclusive prerogative of Ortega Diaz. 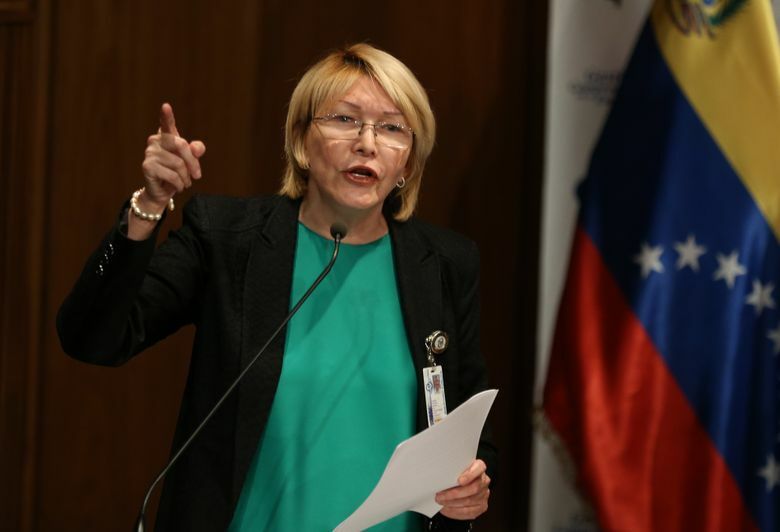 A defiant Ortega Diaz said she wouldn’t recognize the ruling, which she portrayed as a brazen attempt to eliminate her position as Venezuela’s top law enforcement official. “These rulings are giving the power to investigate human rights abuses to people who possibly are violating those rights,” she said. Witnesses said the helicopter had hanging from its side a large banner referring to article 350 of the country’s constitution, which empowers Venezuelans to disobey any regime that violates human rights. There was relatively little damage to the buildings and no one was injured. On his Instagram account, Perez, a police pilot and budding action movie actor, posted a video in which he read a manifesto calling for rebellion. He claimed to speak on behalf of a coalition of renegade members of the security forces, though there was no indication of a larger military involvement. Authorities found Perez’s helicopter in the northern state of Vargas on Wednesday afternoon and a nationwide manhunt continued for him Thursday.